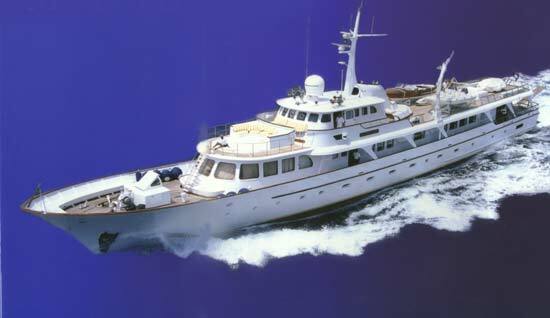 RAMA is one of the classic yachts available for charter. The salon double doors lead to a succession of salons, which include well - appointed seating areas, games table, TV, video system culminating in the dining salon. This creates a genuine feeling of space and also allows for three separate uses of this area at the same time. 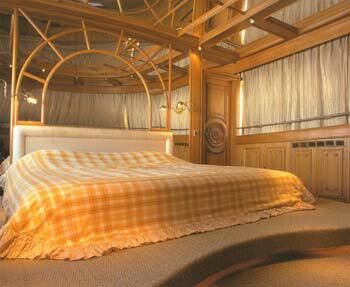 On the main deck with excellent visibility through panoramic picture windows, is the owner' s suite, with en - suite marble bathroom, Jacuzzi bath & separate rain shower.On the lower deck are four double cabins, each with en - suite bathrooms. 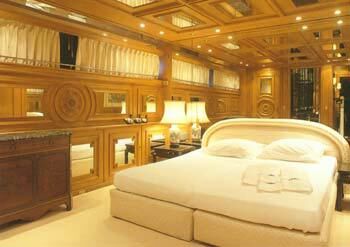 The two aft cabins communicate and can be set up as a VIP suite. 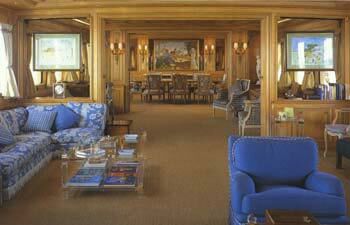 Forward, with access via a staircase after the owner' s cabin, is a twin cabin with en - suite bathroom. 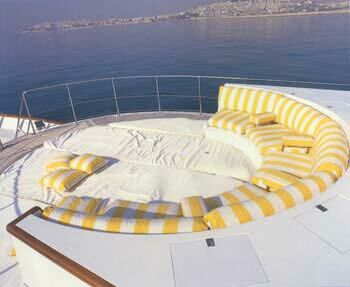 The remarkable outdoor locations are both shaded and suitable for sun bathing. 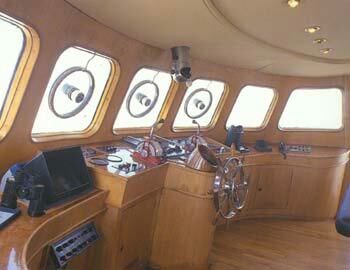 Forward of the wheelhouse is a large circular sun bathing area. 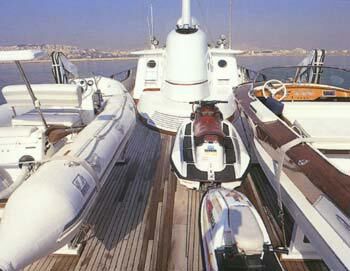 After the boat deck is the tender storage area which, when the tenders are launched gives a large teak deck entertainment area which can be used for a variety of functions and is equipped with a full tent and has its own dining - bar facilities.